Product prices and availability are accurate as of 2019-04-22 00:32:14 EDT and are subject to change. Any price and availability information displayed on http://www.amazon.com/ at the time of purchase will apply to the purchase of this product. Perfect for Holley 4150 Style Carburetors with 7/8" - 20 Fuel Bowl Fitting and comes complete with stanchions to attach them to the carburetor! Designed for a great fit on Holley Carbs with a 9-5/16" Center to Center. 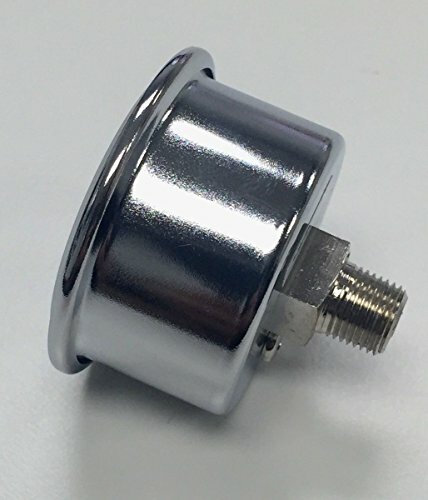 This fuel log has a 3/8" NPT Female Inlet Fitting, 1/8" NPT fitting in the rear and another 1/8" NPT fitting near the front for a fuel pressure gauge (Fuel Pressure Gauge Included). 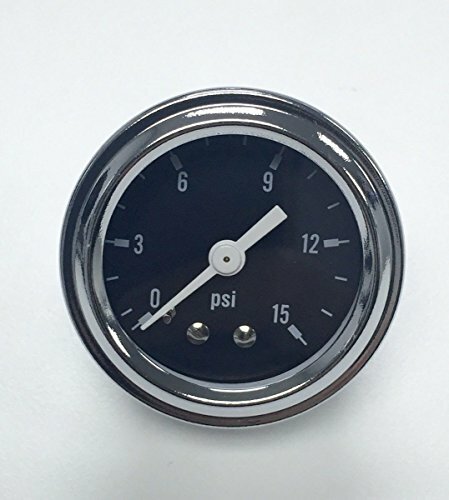 Chrome Black Face 1.5" Fuel Pressure Gauge 0-15 PSI Included! Perfect for your Hot Rod, Rat Rod, Street Rod, Muscle Car, Classic, Custom!